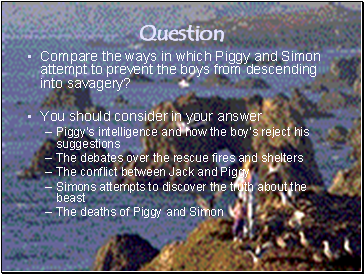 Compare the ways in which Piggy and Simon attempt to prevent the boys from descending into savagery? From the very beginning we can get a strong feeling for the type of character that he is. 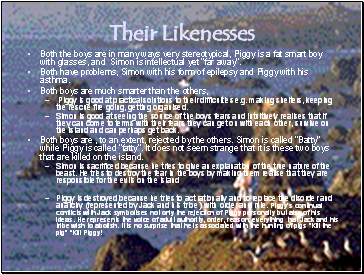 Both the boys are in many ways very stereotypical, Piggy is a fat smart boy with glasses, and Simon is intellectual yet “far away”. Both have problems, Simon with his form of epilepsy and Piggy with his astha. Piggy is good at practical solutions to their difficulties e.g. making shelters, keeping the rescue fire going, getting organised. 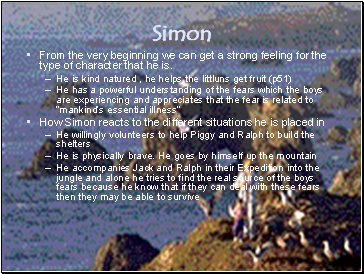 Simon is good at seeing the source of the boys fears and intuitively realises that if they can come to terms with their fears they can get on with each other, survive on the island and can perhaps get back. Both boys are , to an extent, rejected by the others. Simon is called “Batty” while Piggy is called “fatty”. 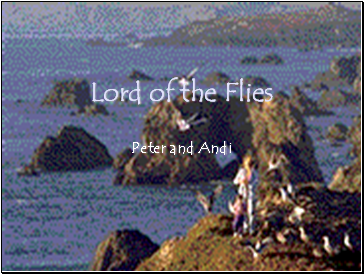 It does not seem strange that it is these two boys that are killed on the island.